This antenna includes 30' of Free Coax Cable !!!! 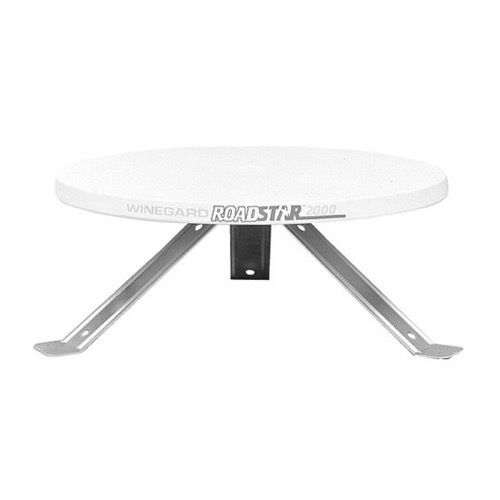 The RoadStar antenna is omnidirectional, continuously receiving VHF/UHF/FM signals from all directions, even while on the road. Youll never have to adjust it, even on winding roads. Built-in, solid-state amplifier boosts signals an average of 15 dB on VHF, 20 dB on UHF. Aerodynamically designed, housing is stylish, high-impact, weatherproof and UV protected material. Includes 30' 75 ohm coaxial cable, 6' coaxial cable, mounting bracket, hardware, and RV-7042 white on/off power supply switch with +12 VDC receptacle and two-way splitter for second TV set, on/off indicator light, cable/satellite input.